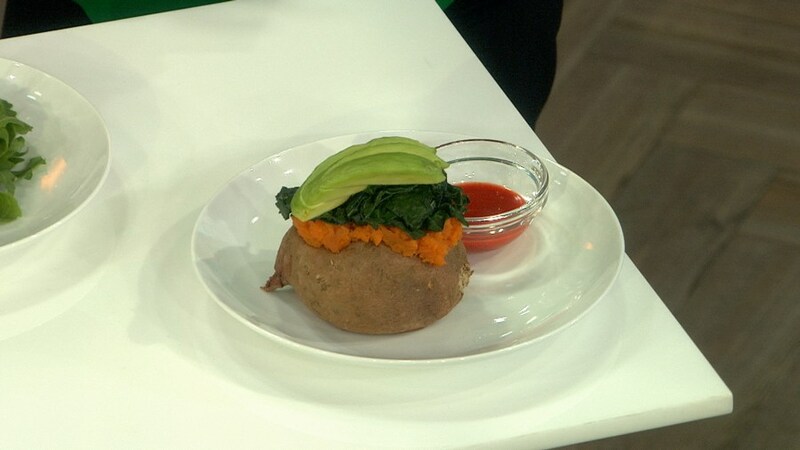 In "The Little Book of Thin," nutritionist Lauren Slayton, founder of Foodtrainers, shares practical and effective tips on losing the weight and keeping it off. Here's an excerpt. A few things can be gleaned from the fact that the average dieter makes four attempts at weight loss a year. The optimist in me admires the tenacity. I take a couple of stabs at finding a missing glove and soon acknowledge it just might never be found. That said, four attempts also indicates that multiple diets or plans are failing. And that’s per year. What about dieters who try to lose weight year after year? Does that really mean eight or twelve or more plans have failed them over time? In initial sessions with new Foodtrainers clients, I ask about these previous forays into the diet world, as well as what did, and didn’t, work for them. Sometimes I hear, “Weight Watchers is good for portion control” or “I liked South Beach; I do better with fewer carbs.” My favorite answer to this question came from a tough-cookie real estate broker who looked me in the eye and said, “Lauren, obviously nothing has worked or I wouldn’t be here.” It was up to me to solve this client’s diet dilemmas, and I did. Now I’m here to guide you through your final diet. After years of nutrition counseling, it’s easy for me to see where most food plans fall short. Whether it’s low carb or high fiber, portion control or vegan, almost all diets focus on food choices. Can you imagine if a therapist said to you, “Here is a list of ways you should think. If you follow this list you’ll be happy.” That sounds ludicrous (I hope). Diets that are based solely on food lists are exactly the same thing. But no matter how many diets you’ve tried, research shows perpetual dieters are not doomed. You are just as likely to shed pounds as diet virgins. 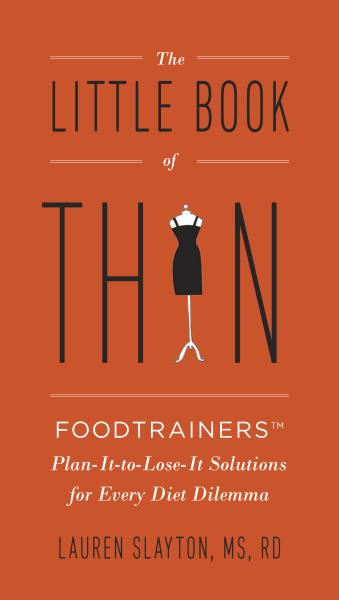 The Little Book of Thin will help you figure out what really works—for you, for the long term. The key to successful weight loss is to know the diet strategies for various circumstances. What happens to your eating when you travel? Or when you bring an after-school snack for your kids but nothing for yourself? How do you make sure you don’t arrive home after work and raid the fridge with your coat still on, keys in hand? If nutrition knowledge equaled weight loss, we would all be thin. We know what to eat until life gets in the way. When you wing it, you end up with the bagel at the breakfast meeting or the candy bowl in the afternoon. Believe it or not, more diets are lost because of a hectic schedule than an extra treat. At Foodtrainers, I “train” clients to develop a skill set for tackling food challenges. I am a nutrition troubleshooter who has seen every possible situation that can sabotage even the most dedicated dieter. These challenges are not isolated to birthdays and holidays; for most people, frenzied is the norm. In this book, I share the strategies and tips to avoid the most common diet booby traps. You will learn what I consider to be the most valuable long-term weight loss lessons that will enable you to plan and prepare, and even to veer occasionally from your course—and still succeed. Personal chefs and meal plans with prepared food work because you don’t have to make food decisions. However, when you make food decisions in advance, you become the personal chef for a whole lot less money. The money saved? You can use it for new skinny clothes; perhaps a little black dress (LBD) after completing The Little Book of Thin (LBT). The missing component in diet success is planning and anticipating food obstacles. Starting with the basics—the Ten Steps to Svelte and a short list of no-no’s—and moving on to Smart Snacks and my Pre-Beach Procedures, you’ll find dozens of hints and tips to see you through the most common diet challenges. Most importantly, you’ll develop new thin habits that you can live with. Foodtraining is not about sentencing you to life without your favorite foods, or curtailing your social schedule. Life’s too short to cry over a caramel or a cocktail. Weight loss takes work but you don’t need to feel deprived, choke down things you dislike, or live without the occasional indulgence. You certainly don’t have to be overweight or unhappy. You just have to plan it to lose it! Prepare the salmon and sauce up to 48 hours in advance. This is the perfect “dunch” meal and a dish that tastes best cold or chilled. As long as your pot is big enough, you can poach additional salmon fillets at the same time. Just make sure they’re in a single layer and that the liquid covers the fillets completely. The dill sauce is optional. To poach the salmon: In a large, wide pot, bring the wine and water to a simmer. Add the lemon slices, peppercorns, and salmon, skin side down. Keep the heat at a gentle simmer; bubbles should barely break the surface of the water. Cover and cook for 10 minutes. Remove the pot from the heat, remove the cover, and let the fish rest in the water for another 10 minutes. Transfer the fish to a plate. When it is cool enough to handle, remove the skin and sprinkle the salmon with salt and black pepper to taste. Refrigerate until chilled, at least 4 hours. To make the dill sauce: Stir together the ingredients for the dill sauce. Taste for seasoning, adding more salt if necessary. This smoothie is great for breakfast and is the ideal postworkout beverage. Matcha is a powdered green tea with even more antioxidants than a brewed cup of green tea. I love an organic brand called Do Matcha. Pineapple contains bromelain, an excellent remedy for swelling or inflammation, while papaya has an enzyme called papain, also used for sports injuries. Both coconut water and avocado provide potassium; avocado has some good fat to help absorb fat-soluble nutrients. When you’re thinking “I deserve a treat,” here it is. These are fantastic for lunch or dinner, or try making them in a smaller “slider” size for snacks. This is a recipe you’ll want to double; it’s a family favorite for us. In a large bowl, combine all of the ingredients. Form into 3 or 4 patties. Grill on a hot grill or grill pan for 10 to 13 minutes, turning once. Serve over arugula or on sprouted bread. Reprinted from The Little Book of Thin by Lauren Slayton MS RD by arrangement with Perigee, a member of Penguin Group (USA) Inc, a Penguin Random House company, Copyright © 2013 by Lauren Slayton.